← Theatr Brycheiniog’s Summer Family Festival, headlined by South African hip hop sensations Dream Team! You will find an independent bookshop in almost every town you visit in the Brecon Beacons! In Hay-on-Wye, bookshops are the local speciality! You can search through shelves of books, pick up gifts, have some food in their cafes… one bookshop even has its own cinema! Here are some of our favourites to celebrate #BookLoversDay! ‘The Hours’ is the perfect spot to sit and unwind, to catch up with family and friends in relaxed surroundings with the daily papers, scrabble and backgammon close at hand… in fact it’s the just the place to wile away the hours. Situated in a gorgeously wonky Grade II listed building on one of Brecon’s oldest streets, they stock a fine selection of carefully hand-picked books. 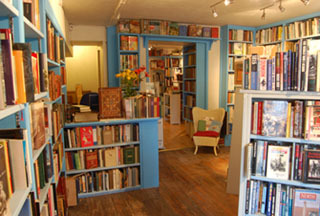 A labyrnith of second hand books situated in the market town of Brecon, there are shelves of books from all genres. It can be found tucked away down Lion Street and is open 9:30am to 5:30pm Monday-Saturday. Renowned 3-floor emporium for new and used books, in a striking tiled building with cafe and cinema. It is EUROPE’s LARGEST SECONDHAND BOOKSHOP!!! They also hold events throughout the year, as well as having a Bookshop Studio which is available to hire. Click here for more. 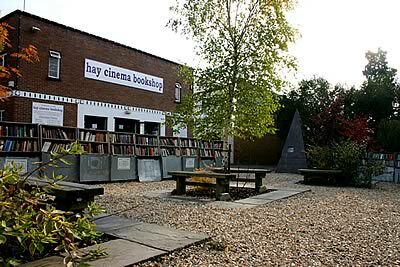 Redundant Cinemas have been turned into many things – mostly bingo halls and supermarkets it seems – but in Hay on Wye they did something different. They turned it into a second-hand bookshop way back in 1965. Hay Cinema Bookshops is the longest established of the big bookshops in the famous Town of Books and its been opening its doors to browsers ever since. Customers from all over the world continue to be amazed by the quantity and range of the stock which runs to 200,000 volumes on all subjects – from Art to Zoology – and at prices from 50pence to thousands of pounds! Click here for more info. 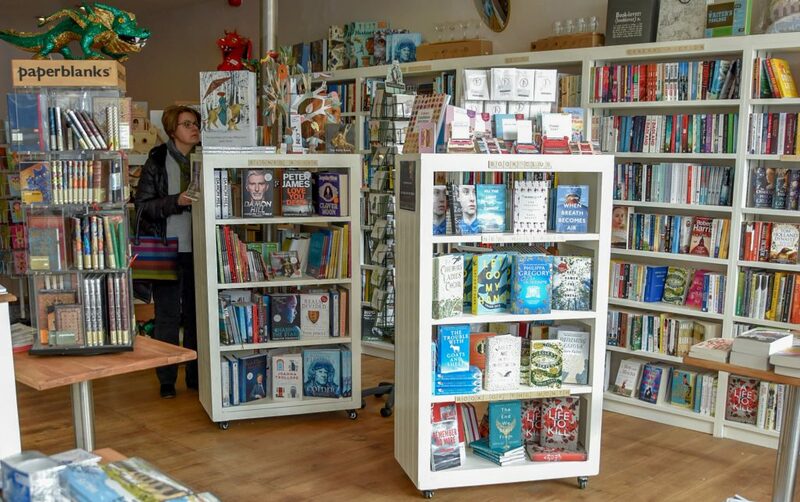 ……These are just a few of the many bookshops in Hay On Wye-There are plenty more!..Pay the town a visit and see what you can discover in the Town Of Books! Owned by Emma & Andrew Corfield-Walters, Book-ish is that bookshop that you thought didn’t exist any more, but wished did. It does! The shop has recently occupied a bigger space in the centre of Crickhowells bustling high street. There philosophy is simple, they want to connect people to books, help children to develop a life long love of reading and encourage imaginative play. The combination of books, great coffee or tea and mouth-watering cake really can’t be beaten. 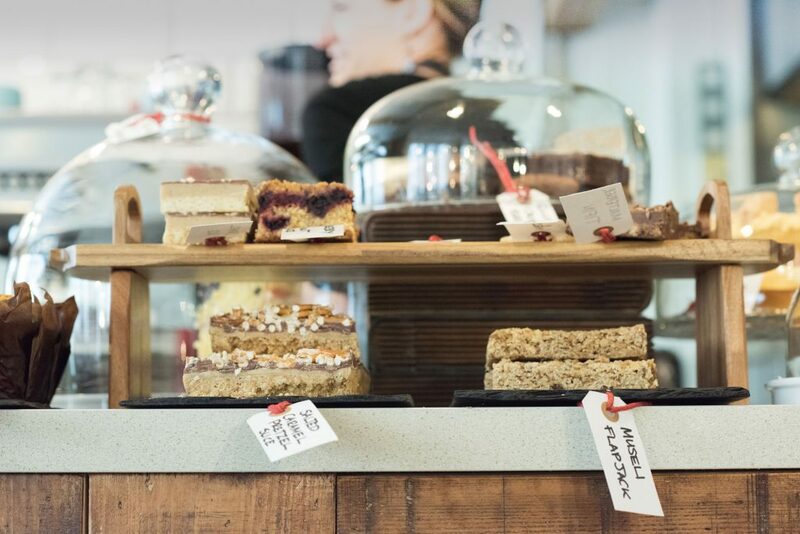 The café at Book-ish is a haven, tucked away from the hustle and bustle of Crickhowell High Street with it’s own entrance on Silver Lane! The only second hand bookshop in the market town of Abergavenny, South Wales. Broadleaf Books offers an eclectic range of books, with over 35 sections in stock. From natural history to photography and from country ways to railways, you’re sure to find something to suit your interests. The shop is run by Joanna Chambers who has over 15 years of bookselling experience and is backed up by a very supportive family. Here, you will find a friendly welcome and willingness to find that book you’ve been after for so long. Books are kept below online prices as much as possible, striving to give the cutomer the best deal whenever possible. Click here for more. 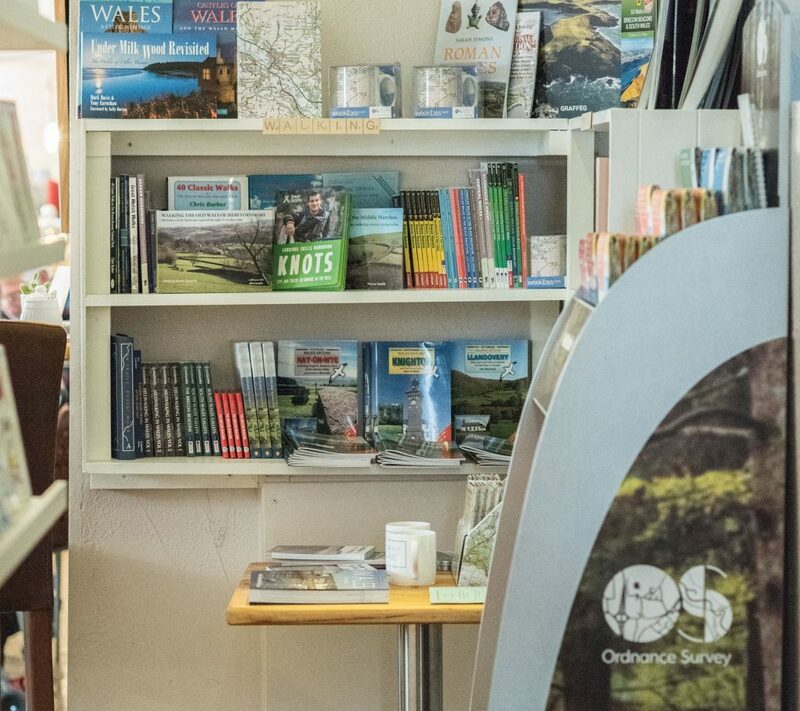 The shop at the National Park Visitor Centre in Libanus near Brecon usually has plenty of local maps in stock, along with crafts, souvenirs and books on local history and culture. It’s open every day of the year except Christmas Day. The National Park and Tourist Information Centre in Abergavenny and our other visitor centres also sell maps and guides. This entry was posted in Bookshops, cafes, summer things to do, Things to do, Uncategorized and tagged #BookLoversDay, Abergavenny, Book-ish, Bookshops, brecon, Crickhowell, hay on wye, read, The Hours, things to do, town of books. Bookmark the permalink.